It may seem ironic for new media company to be interested in an old-school advertising format, but there’s no denying that many online video companies love to incorporate billboards as part of their campaigns. One player paying particular attention to outdoor marketing is Netflix, which has reportedly made a $300 million acquisition bid for Los Angeles-based Regency Outdoor Advertising. Regency’s billboards can be found throughout the Los Angeles area at major locations like the Sunset Strip and the LAX airport. 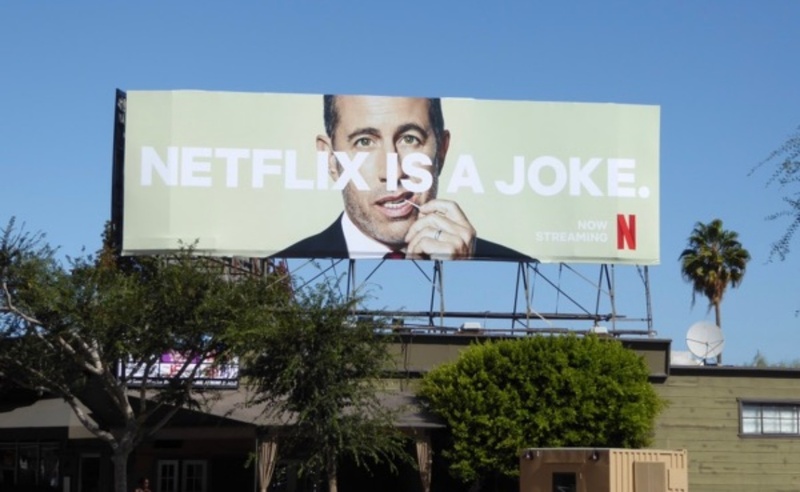 The billboard owner has worked with Netflix on several campaigns in the past, hawking shows like Stranger Things and The Crown as well as comedy specials from funnypeople like Jerry Seinfeld and Ellen DeGeneres. Reuters, which first reported on the potential acquisition, said that Netflix isn’t the only company vying to scoop up Regency. Neither Netflix nor Regency have yet offered public comment on a potential deal. Should the Regency deal go through, it would only be Netflix’s second-ever acquisition, according to Reuters.